Since 1998 the “Escola de Terapia Manual e Postural” school offers courses for professionals in the field of human health. The school, created by Afonso Salgado opened the field for the introduction of various therapeutic techniques known worldwide in our country including Osteopathy, Iso-stretching, muscle chains, Crochetagem Mioaponeurotica, Podoposturologia, Cyriax, Neuromuscular Balance, MicroKinesitherapie and Biological Reading. In March 2002, became a partner of the Centro Universitário de Maringa - CESUMAR and began offering the 1st International Postgraduate course in “Terapia Manual e Postural” (sensu lato) in Brazil. Over the years the school has grown and currently has partnerships with scientific institutions for teaching and research in several countries, highlighting OMI - Orthopaedic Medicine International (Belgium), Microkinesitherapie (France), Connaissance & Evolution (France) and EMAC (Portugal). In 2002, ten years ago, the Escola de Terapia Manual e Postural, concerned with the dissemination of scientific manual techniques practiced in our country creates the journal “Revista Terapia Manual” unique scientific journal specializing in this area in Brazil. The journal “Revista Terapia Manual” scientifically grown and matured as a result of the effort, participation and support of the authors, the Editorial Board and, their readers, showing each the new number, with ethical manner, the science of manual therapy. We reached the tenth year of uninterrupted publication, offering a scientific, ethical and quality reading. The journal has undergone some transformations based on “Selection Criteria Journals” for the LILACS database of the Latin American and Caribbean Center on Health Sciences - BIREME / PAHO / WHO which were indexed in 2007. Also adopted was the Vancouver style and the rules of Scientific Electronic Library Online / SCIELO, aiming our indexing at this prestigious scientific basis. Our Scientific Council is composed of professional with extreme competence, national and international references in their respective areas. All of them are university professors with PhD degree that comprise researchers at Postgraduate program MSc and PhD level, all recognized by CAPES / MEC. In its composition, we seek to cover the various regions of our country, thus stimulating scientific production in the south, southeast, north, northeast and center-west, ie, throughout the national territory. Another fact of great importance to the our journal was his affiliation with the Associação Brasileira de Editores Científicos (ABEC). The ABEC is a civil society nationwide, nonprofit and untimed, bringing together individuals and companies with an interest in developing and enhancing the publication of technical and scientific journals, improving the communication and dissemination of information. This relationship helps us greatly, putting us in touch with companies and related institutions in the country and abroad, ensuring standard form and content of scientific technical literature. Acceptance of our indexing to “Latindex - Regional System in Línea de Information for Scientifi c Journals of Latin America, the Caribbean, Espana y Portugal” in 2007, showed scientifically that we are growing, presenting the international scientific community a product of quality and reliability. Surely we are searching other databases in order to collaborate in the dissemination of science that is produced and practiced in our particular area of expertise. In 2009, we reached the indexes by the LILACS, CINAHL and Sport Discus. Continuing its history, the journal was accepted in December 2011 by international database EBSCO further increasing their international visibility. Currently, our journal is in the WEB Qualis B2 stratum area 21 of CAPES / MEC (Physical Education, Physical Therapy, Speech and Occupational Therapy). Since January 2012 the “Revista Terapia Manual” journal (ISSN 1677-5937 and 2236-5435 ISSNe) began using the SEER - Electronic System for Journal Publishing (http://www.revistatm.com.br/ ), being published only on line, adopting the Open Access policy, ie becomes free access. 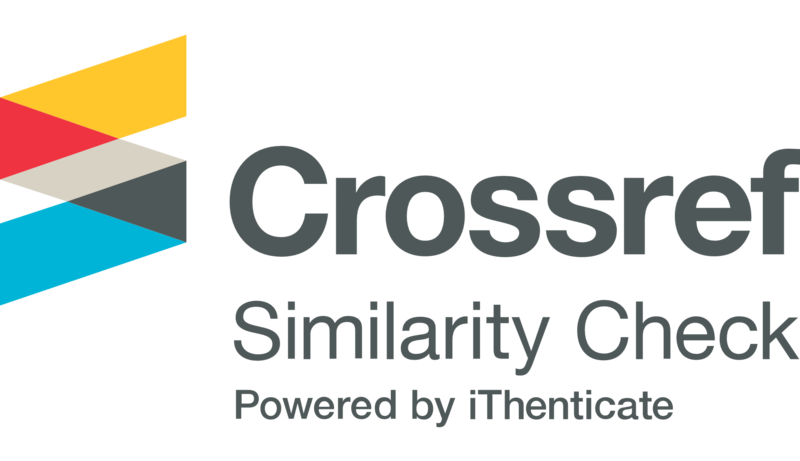 Also this being adopted the international system for identifying articles CrossRef DOI - Digital Object Identifier. It is worth mentioning that since January 2012 the journal now has the subtitle “posturology” due to greater emphasis on the publication of articles in this area and because of the international scientific partnership with the Association Internationale Posturologie-API. From 2014 the journal adopts the main title "Manual Therapy & Rehabilitation Posturology" and shall publish in English only. Aiming at further professionalizing, the journal will be edited by the publishing hub providing a new host to better serve our authors and readers. With this new title, the journal extends its scope, serving the best way to authors of respective areas. Publish the results of original research disseminating scientific technical knowledge on assessment, prevention and treatment in the areas of Manual Therapy, Posturology and, Rehabilitation contributing significantly to the expansion of knowledge and professional updating in related areas in order to improve the quality of life of the population. Manual Therapy, Posturology & Rehabilitation Journal is an international open access, peer-reviewed online journal publishing Ahead of Print original research articles, case reports, technical advance articles, study protocols, reviews, proceedings and, letters to editor. 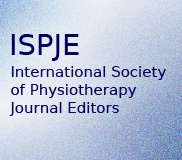 The focus of the journal is on all aspects of the prevention, diagnosis, management and, rehabilitation of neuromusculoskeletal, cardiovascular, respiratory and, associated disorders, as well as related molecular genetics, pathophysiology, and epidemiology in the field of Physiotherapy and Rehabilitation Sciences. It is journal policy to publish work deemed by peer reviewers to be a coherent and sound addition to scientific knowledge and to put less emphasis on interest levels, provided that the research constitutes a useful contribution to the field of Manual Therapy, Posturology & Rehabilitation. All articles published by Manual Therapy, Posturology & Rehabilitation Journal are freely accessible online immediately upon publication, without subscription charges. Authors of articles published in Manual Therapy, Posturology & Rehabilitation Journal are the copyright holders of their articles and have granted to any third party, in advance and in perpetuity, the right to use, reproduce or disseminate the article since it the publication is cited, according to the MTP&RehabJournal copyright and license agreement. Nous sommes une association qui a pour but de promouvoir la Posturologie et la Posturopodie. Chaque année depuis 20 ans nous organisons un congrès réunissant des professionnels praticiens, cliniciens et fondamentalistes, pour faire avancer nos connaissances et les vôtres. This guide for reviewers contains information about basic considerations that should be applied when reviewing a manuscript that has been submitted to Manual Therapy, Posturology & Rehabilitation Journal, and about the editorial standards of the journal. Other relevant information about the journal’s aims and scope can be found at 'About this journal'. Submitted manuscripts are usually reviewed by two or more experts. Peer reviewers will be asked to recommend whether a manuscript should be accepted, revised or rejected. They should also alert the editors of any issues relating to author misconduct such as plagiarism and unethical behavior. Manual Therapy, Posturology & Rehabilitation Journal operates using a double blind peer review system. Publication of research articles by Manual Therapy, Posturology & Rehabilitation Journal is dependent primarily on their validity and coherence, as judged by peer reviewers and editors. The reviewers may also be asked whether the writing is comprehensible and how interesting they consider the article to be. Submitted manuscripts will be sent to peer reviewers, unless they are out of scope or below the interest threshold of Manual Therapy, Posturology & Rehabilitation Journal, or if the presentation or written language is of an unacceptably low standard. Reviewers are asked to provide detailed, constructive comments that will help the editors make a decision on publication and the author(s) improve their manuscript. A key issue is whether the work has serious flaws that should preclude its publication, or whether there are additional experiments or data required to support the conclusions drawn. Where possible, reviewers should provide references to substantiate their comments. Reviewers are asked to bear the editorial rules of Manual Therapy, Posturology & Rehabilitation Journal in mind and alert the editors if authors have not fully adhered to them. Are you interested in becoming an Reviewers Board member for Manual Therapy, Posturology & Rehabilitation Journal and helping to maintain the editorial standards and ethos of this growing journal? To volunteer as an Reviewers Board, please simply contact us at editor@mtprehabjournal.com, enclosing a summary of your research interests and relevant expertise. We look forward to hearing from you.